Eps. 40 | Alexa is the hub of a wheel that will help family caregivers improve the way they provide assistance to loved ones needing special care. 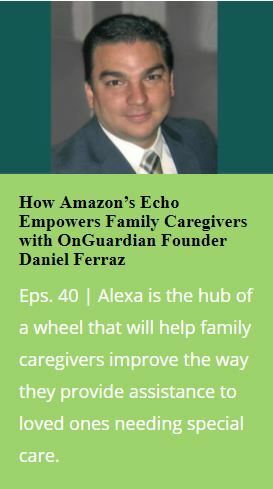 The post How Amazon’s Echo Empowers Family Caregivers with OnGuardian Founder Daniel Ferraz appeared first on Dance Past Sunset.